Just a few hours before the Treyarch's official live stream and the secrets already out of the bag. Thanks to a series of Tweets and Teasers, we're now all but certain that the Black Ops 3 zombies mode will be set in a 1920-1930's gangster style era, with the all star cast playing a crucial role in the storyline. You may have seen a few YouTuber's speculating over the location of the next zombies map, the first to be included in Black Ops 3. Through a small collection of teaser images, Treyarch gave us several clues to the whereabouts and era for the first zombies map. As you will see below there were many similarities between this new map and Mob of Dead. The first major clues came from the city landscape in the second teaser image and the gangster style outfit from the third teaser. A rather smart Twitter user also managed to impose the city landscape of Chicago over the teaser image, coming up with an exact match…. "Clever girl". Just take a look at the image above, which looks exactly like a "mafia" style boss holding either a gambling card or maybe it's a calling card; with such distinctive markings it could well be a calling card. Notice the outfit too: a white shirt and tie, typical mobster style. With only a few hours to go until the Live reveal this already all but confirmed the gangster setting for the zombies mode in Black Ops 3. We'll need to wait and see whether this mobster setting takes hold as the new zombies campaign or is simply the first map in the series. The well-known gangster or mobster era took place between 1920-1930 at which time the Prohibition era was also taking hold in the United States. Because of this prohibition, the sale and distribution of alcohol was prohibited leading to criminal gangs taking hold of supply and demand for the sale of illegal goods in a black market style economy. Probably the most famous gangster from this era was Al Capone who was recruited by members of the Five Points Gang in the early 1920s. His childhood friend called Lucky Luciano, was also a member of the Five Points Gang before Al Capone joined. Through the means of this gang, Capone would control a major proportion of illicit activity including drugs, prostitution and gambling. That's just one example of a famous mobster but the entire era is littered with American Mafia style figures, many of whom immigrated from Sicily for a better life. This decade was a real Godfather type environment with gangs or "families" competing for control of districts through corrupt politicians, illegal trading and an unprecedented number of murders. Notice the similarity in this authentic photo to the one posted by Syndicate above. 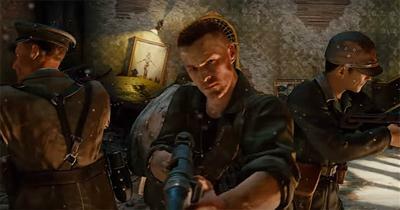 The four guest stars fit perfectly into the gangster storyline for zombies and I expect that we'll see an amazing survival mode from Treyarch this year. 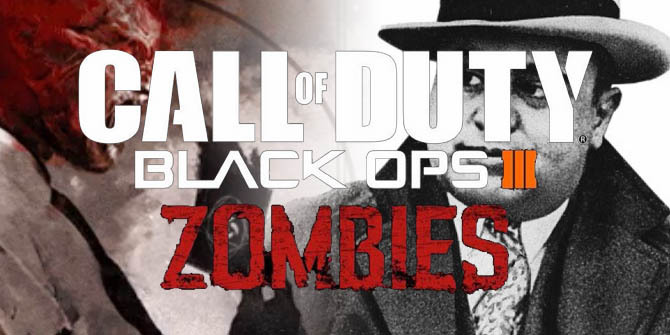 It's going to be like a bigger, better version of Mob of the Dead with it's own extended story.